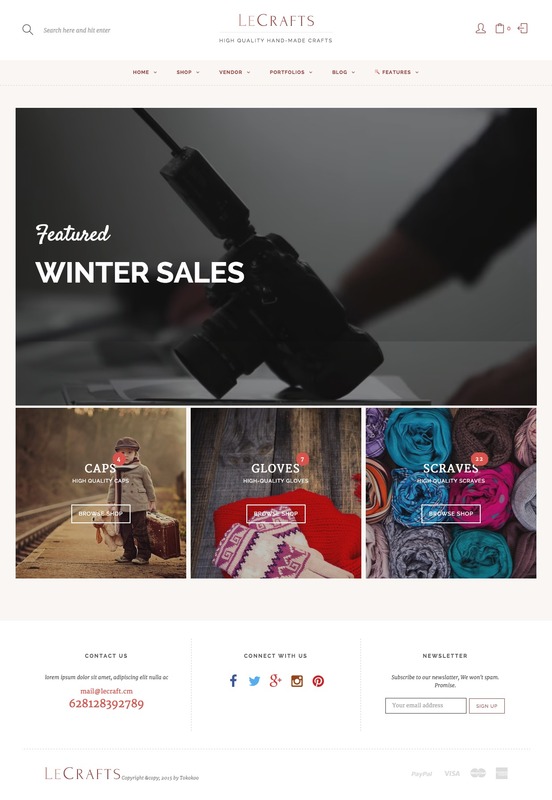 Are you looking for a powerful WooCommerce WordPress theme to set up your online store ? 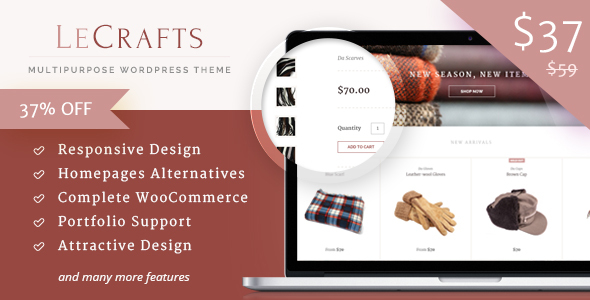 LeCrafts, a stunning, fully customizable web solution designed to take your online store, marketplace, portfolio, or blog to the next level. 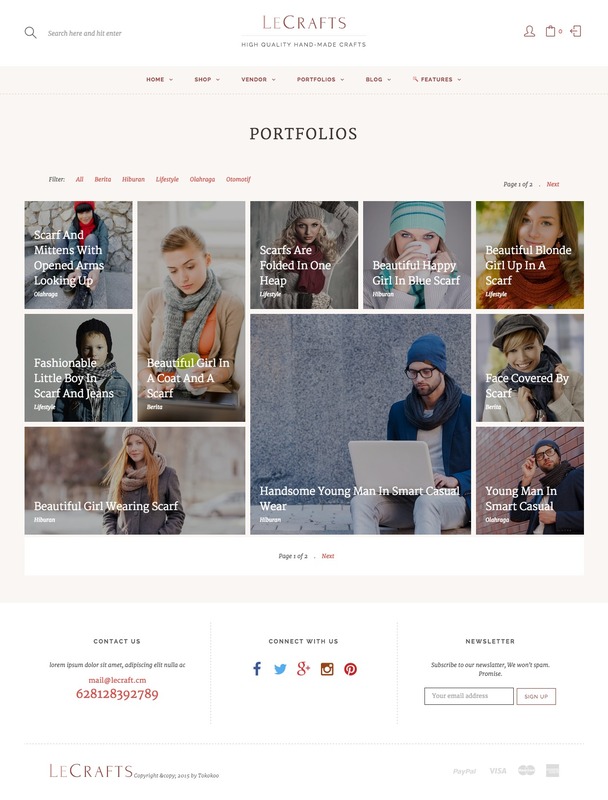 You can choose from 7 predefined homepage layouts, 6 predefined portfolio layouts and many more. or build your own using Visual Composer, a powerful drag-and-drop page builder that enables you to build custom web pages from scratch in a matter of minutes, without having to write a single line of code. 01 ? What is WooCommerce? 02 ? How To Install WooCommerce WordPress Plugin? 03 ? How To Import WooCommerce Dummy Data? 04 ? How To Get Better Product URL With Custom Permalink? 05 ? 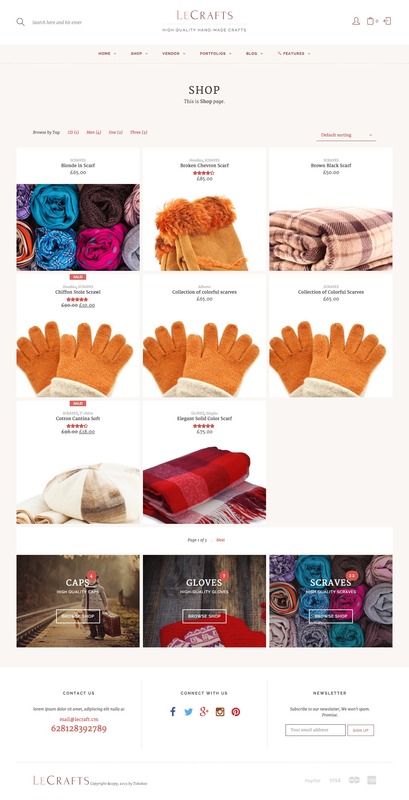 How To Use Shop Page For Homepage? 06 ? How To Display Product Categories On Shop Page? 07 ? How To Change Shop Currency? 08 ? How To Add A Simple Product? 09 ? How To Sell A Service Product? 10 ? How To Sell A Digital Product? 11 ? How To Sell An Affiliate Product? 12 ? How To Use Product Attributes? 13 ? How To Add A Variable Product With Variations? 14 ? How To Change Product Images Size? 15 ? What Are Up Sells and Cross Sells? 16 ? How To Create A Coupon Code? 17 ? 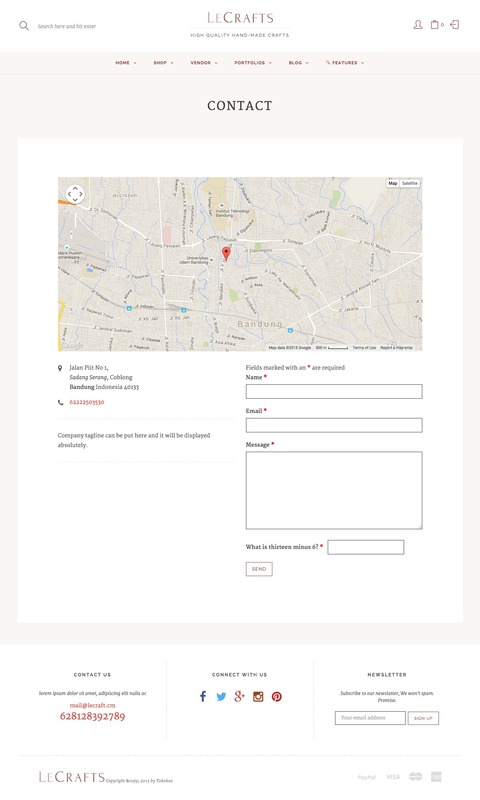 How To Add Terms & Conditions At Checkout Page? 18 ? How To Enable Registration On ?My Account? Page? 19 ? What is System Status page? 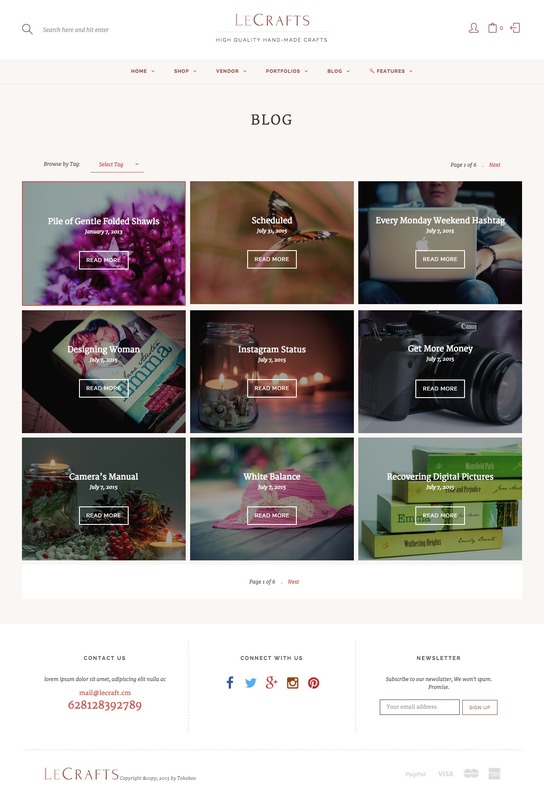 Build with Dokan multivendor WooCommerce Extension ( Not included in this theme package ). Set slider controls, animation times, shadows, thumbnails and much more? - Remove sidebar generator core function and replace it with plugin. - Fix string translation in single product. - Provide Custom user menu for Logged in buyer user , seller user and non logged in user. - Provide Custom user menu for Logged in user and non logged in user. - Remove dokan vc element param that not available in default shortcode dokan store list. 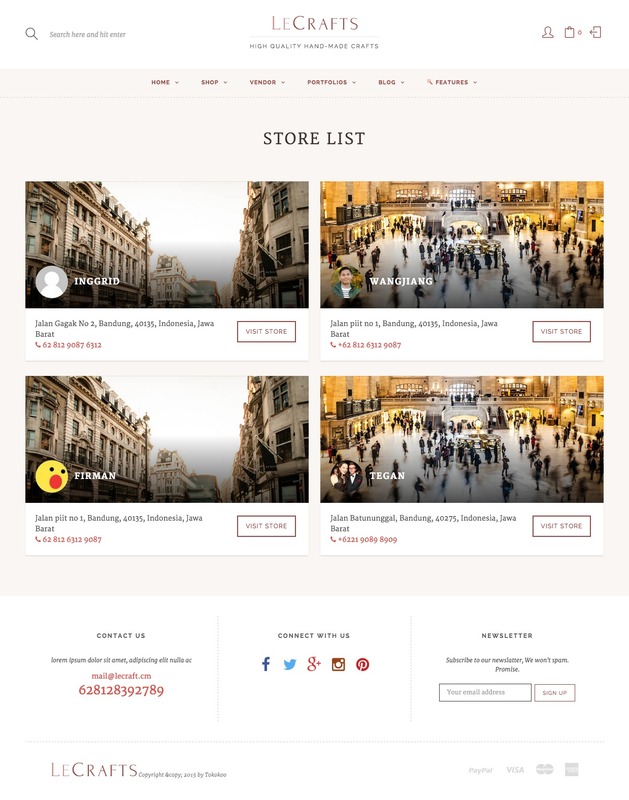 - add shop with sidebar page template. - Fix Internet Explorer issue. - Fix wordpress menu manager issue. - Fix check out tax . 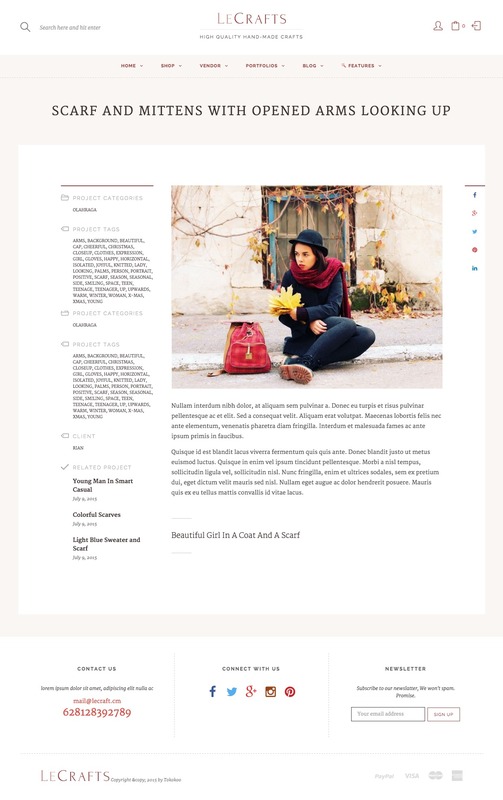 - Fix mailchimp subscribe widget issue. - Fix enqueue parent style for child theme issue. - Fix missing style in checkout page WooCommerce. - Fix single product responsive issue. - Remove custom favicon field in customizer because wordpress have this feature by default.